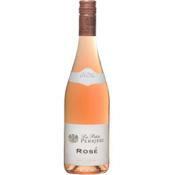 Delicously fresh, great aromas of berries with crisp refreshing dryness and a soft, silky texture. 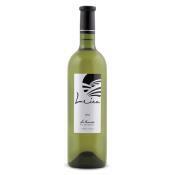 Intense tropical fruits combined with mineral notes on the palate. Good levels of acidity. A deliciously freshing wine. One of the greatest vintages from the Rhone Valley in years. Welcome to Vintage Cellars, the UK's fine wine specialist providing a first-class service in the supply of vintage wines. We have over 20 years of experience with the Wine industry, and are specialised exclusively in vintage wines. Within this experience, we are now able to offer an extensive range of the best vintage wines including red, rose and sparkling wines from all around the world. You may already be familiar with some of our wines like Château Grand Puy Lacoste 2005 or Sichel Sauternes 2012, so why not having a look at our Argentinian or Chilean Wines. Some of these are really worth the taste! Deep red fruit aromas with a complex balance and good structure on the palate. We are an independent Wine Merchants who have been established in Pimlico for over 20 years. Our ethos has remained unchanged and seems as fresh as when we first started trading vintage wines, namely, find great quality wines at competitive prices from smaller producers which our customers will enjoy. We have established wonderful working relationships with our suppliers and producers to get an insight into their product ranges and their plans so we get first shot at new products. We're passionate about vintage wines, which led us to turn into online wine sellers offering the greatest red wines, white wines and sparkling wines from various countries: we stock an extensive range of Chilean wines, South African vintage wines & Many others to be discovered by browsing our different sections. Though there are a great number of award winning wines from family vineyards in our range that is not a specific criteria for us. The most important is that we enjoy the wine and we hope you do also. Selling wine online is a new challenge for us, and we hope to keep you the customer as updated and happy as possible, we would never sell a wine that we haven't tried, tasted and enjoyed ourselves. You can rest assured that all the vintage wines we offer for sale are well worth a try!